Happy Easter from my Flock! 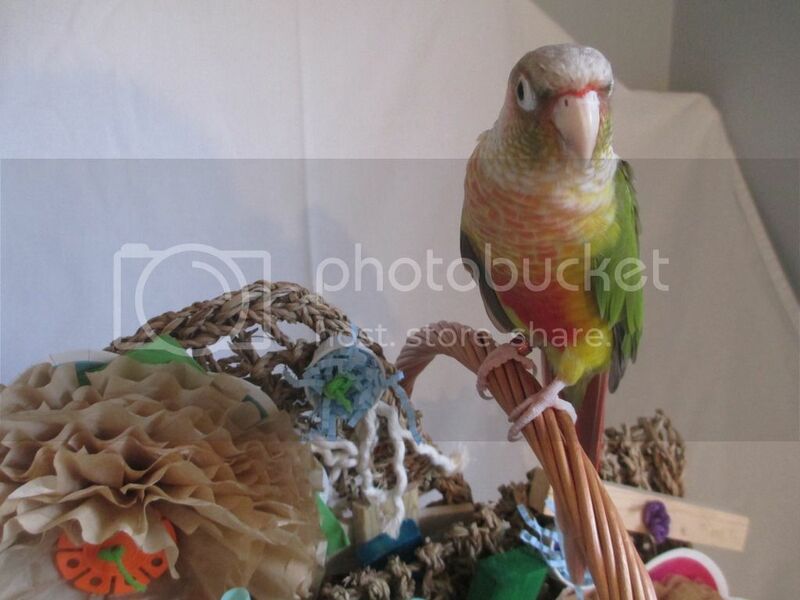 Buffalo Parrot Squawk Forums > Forum > Media > Photos of your Parrots/Birds > Happy Easter from my Flock! 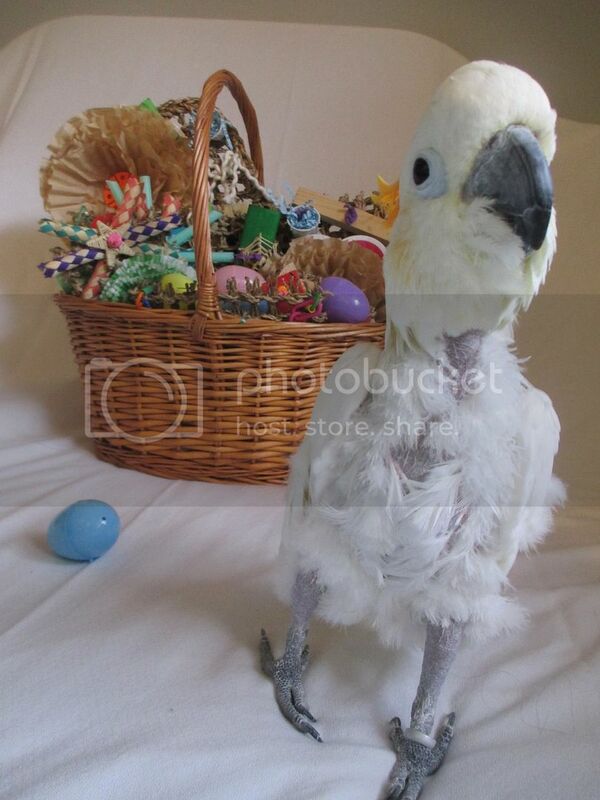 I haven't been active, but my flock and I would like to wish you all a Happy Easter! 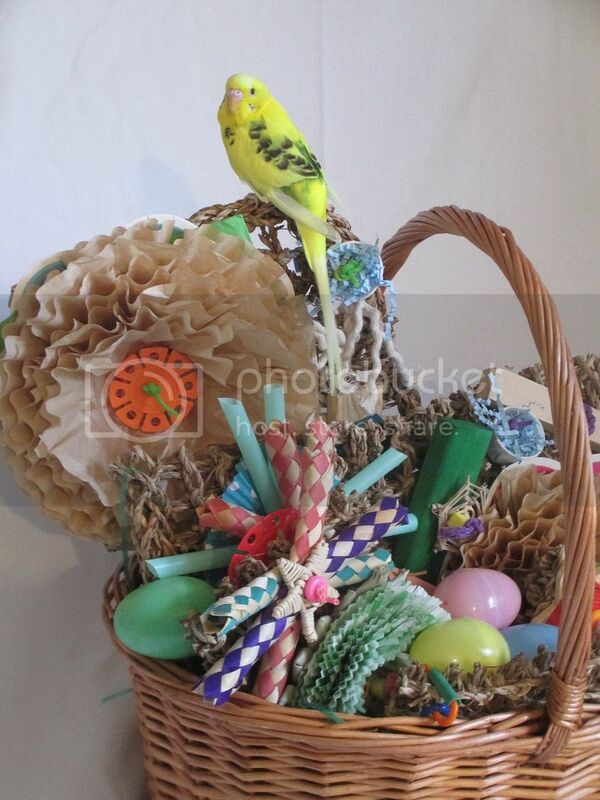 I made all of my birds a seagrass mat toy, and made up a basket for them. 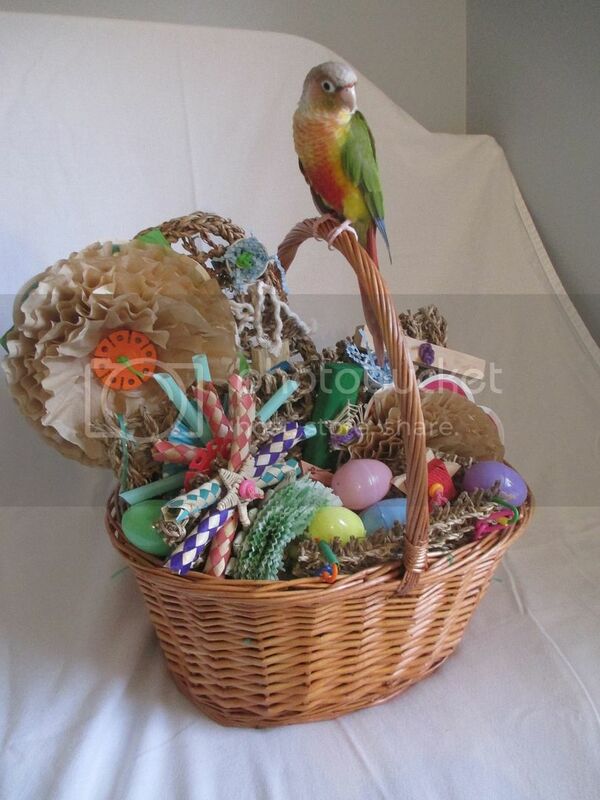 :) Here are some pictures of them with their basket. 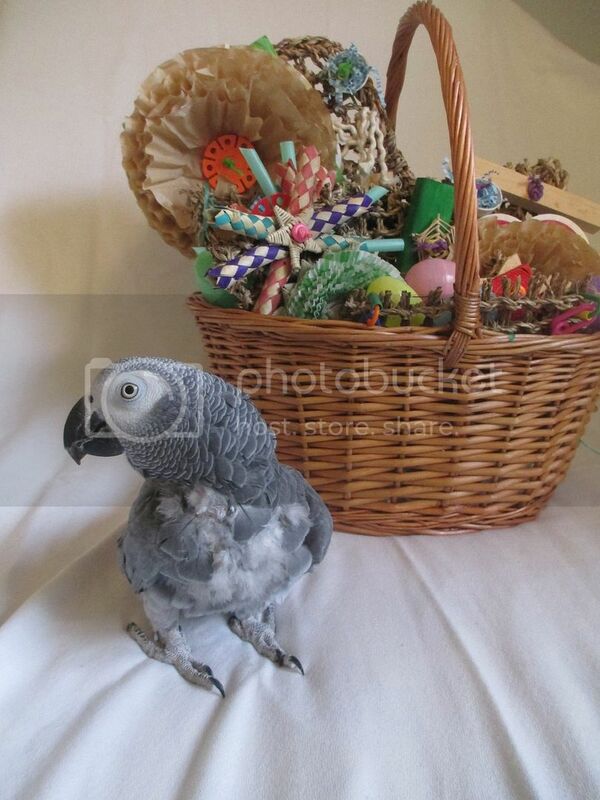 Honey and Pressie aren't pictured, as they were terrified of the basket and didn't want to get near it. Re: Happy Easter from my Flock! Fantastic!!!! Lucky birds Things look great with your Grey.